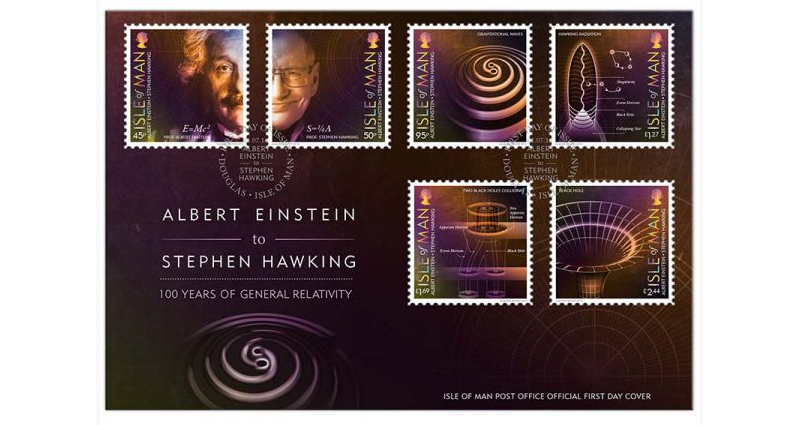 Isle of Man Post Office presenting a exquisite set of six stamps that mark 100 years of Professor Albert Einstein's general theory of relativity and the work of theoretical physicist Professor Stephen Hawking. The stamps have been personally endorsed and approved by Professor Stephen Hawking together with support from The Stephen Hawking Foundation. 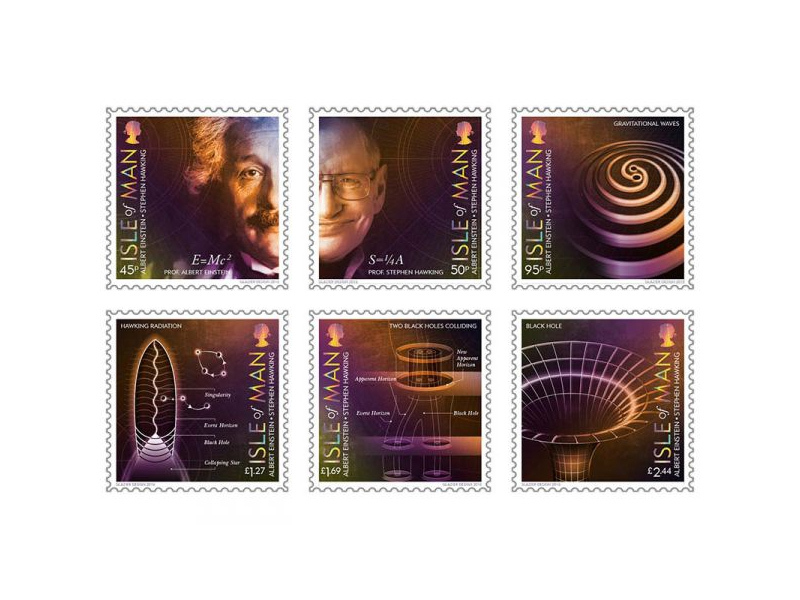 Professor Stephen Hawking says "This collection of six stamps, created in collaboration with the Isle of Man Post Office and Glazier Designs, displays some of the equations over the past century that have led to significant scientific discoveries and, in turn, have had a profound impact on the world." 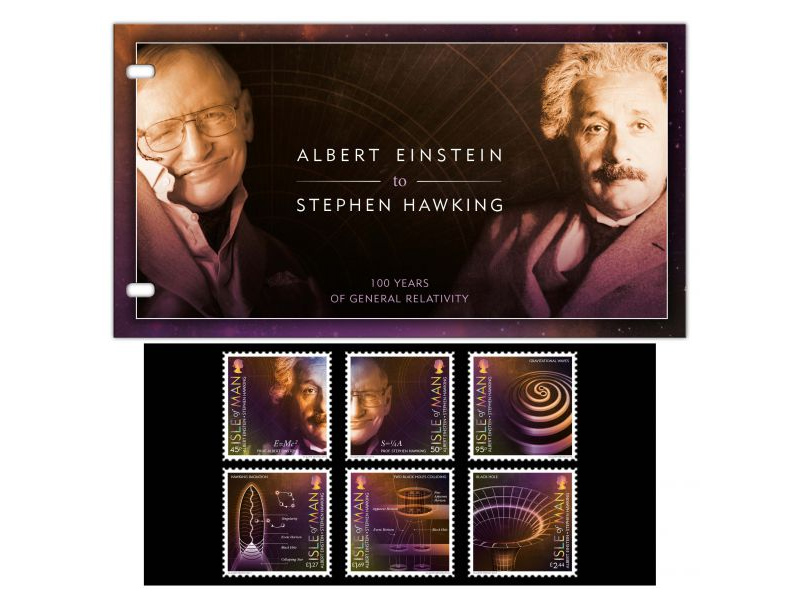 This stunning stamp issue showcases the works of Albert Einstein and Stephen Hawking. Each stamp features a rare iridescent foil printing technique on the words 'Isle' and 'Man' and Her Majesty the Queen's portrait along with warm earthy colours to create a scientific and atmospheric look and feel to the collection. The insightful issue text explains the scientifically accurate diagrams featured on each of the stamps and was prepared by Cambridge university experts and Professor Hawking. Stephen Hawking endorsed the stamps, saying: "I am honoured to have both my face and life's work featured alongside Albert Einstein and the commemoration of 100 years since the publication of his theory of general relativity."